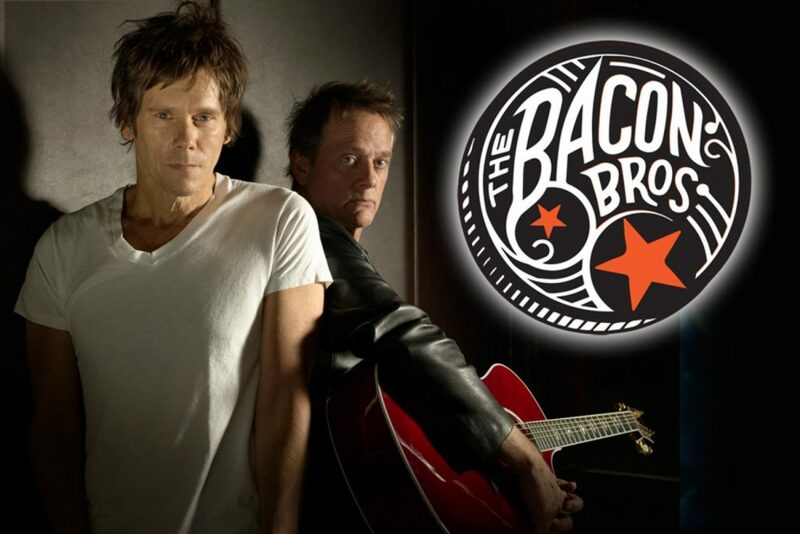 The Lyric welcomes back The Bacon Brothers, and their signature gritty blend of rock ‘n roll, country, folk and blues. Long before Kevin Bacon became a movie star and pop culture phenom, and before his brother Michael became a go-to composer for film and television, the Philadelphia-based sibling duo had begun their musical collaboration. Making their debut as a duo in 1995, The Bacon Brothers continue to impress audiences and critics over 20 years later with their soulful sound. With Michael on vocals, guitar and cello, Kevin on vocals, guitar, harmonica and percussion, they are a musical force to be reckoned with. Michael and Kevin Bacon were born in Philadelphia, Pennsylvania, to Ruth Hilda, an elementary school teacher, and Edmund Norwood Bacon, a prominent architect who was on the cover of Time Magazine in November 1964. Michael started as a career musician in the 1960s, first playing gigs at Philadelphia’s Electric Factory with younger brother Kevin tagging along. He later moved to Nashville to pursue songwriting, and his musical career took off. Now, an Emmy Award-winning composer, Michael is credited with many original scores for film and television. On March 18, 2016, the world premier for Michael’s four-movement “Concerto for Violoncello and Orchestra” took place at The Schimmel Center in downtown Manhattan. Kevin always loved music but chose a different path. Best known for his acting roles in The Following, Footloose, Mystic River and Apollo 13, Kevin has appeared in over 60 films and television shows and has a Golden Globe win along with several Emmy and Screen Actor’s Guild nominations. Don’t let their roots in Hollywood fool you. According to The New Yorker, “Hollywood hangs like an albatross around the neck of any movie star turned musician, but this duo shakes off the burden of fame with sharply executed rock that has a blue-collar, rootsy edge.” With connections in Nashville and tour dates across the country, The Bacon Brothers may no longer be one of the industry’s best kept secrets.